The final tenants were decamped before Christmas to flats obtained by Midland Heart at the private Fusion development at the former Low Level Station. 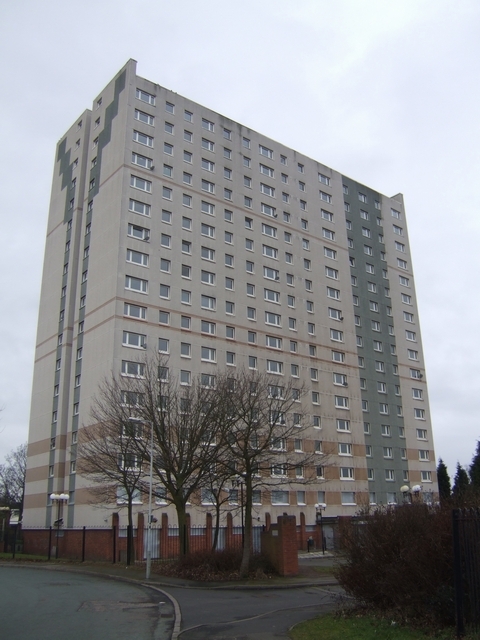 The 17 floor towerblock built in the 1960s has 134 flats and is the last remaining of the six high rise blocks in Blakenhall Gardens. It is planned to demolish the block in May or June to allow re-generation with low rise properties. A new school and sustainable housing has been constructed nearby. Is there any monument bearing testimony to Phoenix Park (Blackenhall) having been the original home of Wolverhampton Wanderers some 125 years ago?